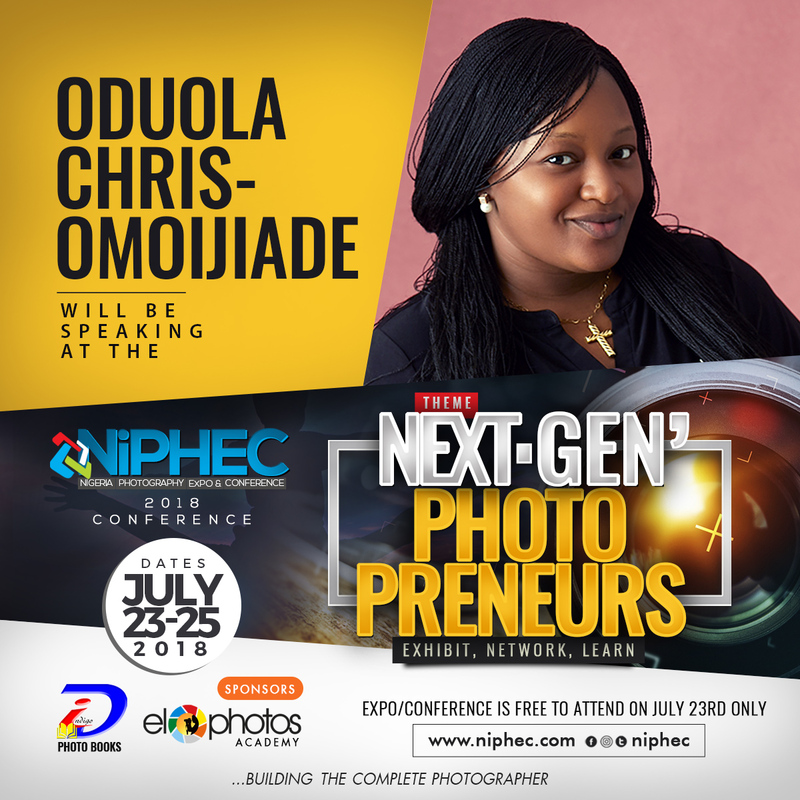 Nigeria Photography Expo & Conference (NiPHEC) is an annual gathering of photography lovers, enthusiasts and professionals whose main goal is to learn, network and discover ways to take their photography to the next level. This year’s event has been scheduled to hold from July 23 – 25, 2018. 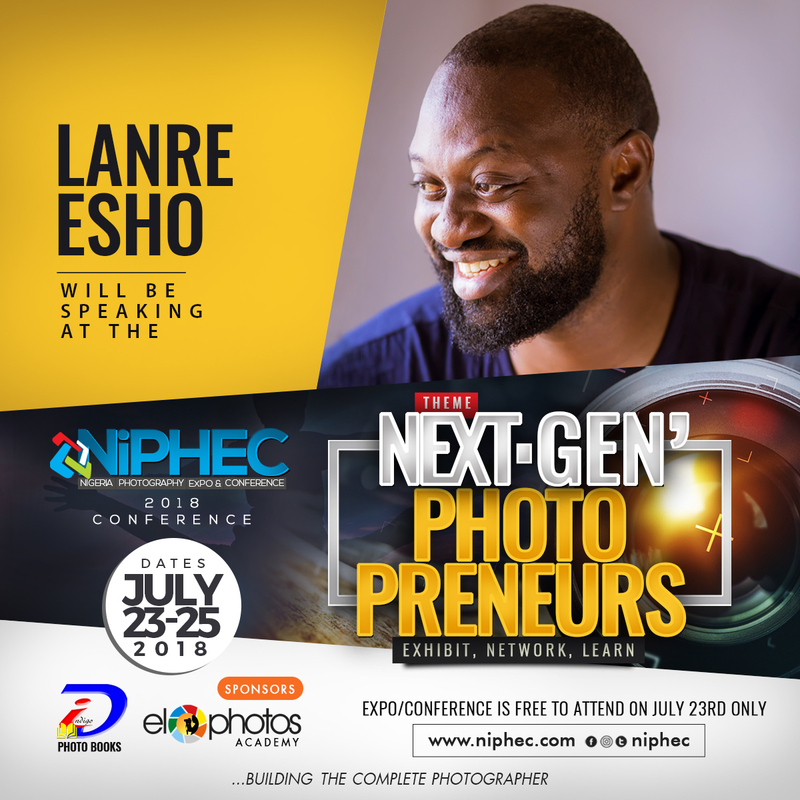 The photography conference includes photography lectures and workshops taught by some of the finest photography instructors and speakers on subjects such as lighting and posing, wedding photography, business and marketing, social media, software and workflow, and video and multimedia. 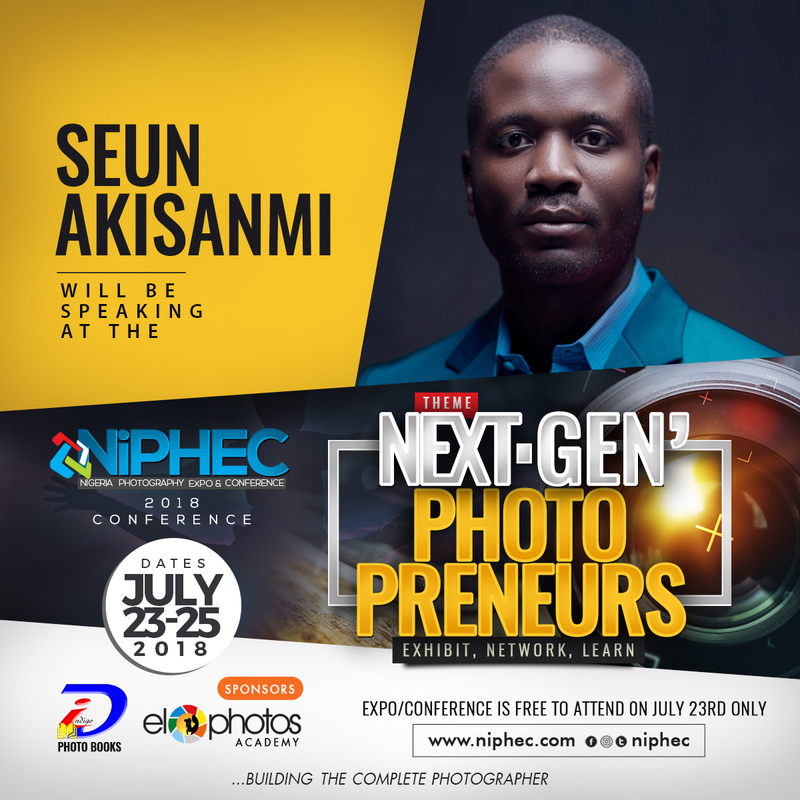 The EXPO will be an opportunity to meet salesmen from top photography-related companies that will be showcasing their products and services. Consider it a one-stop all-you-can-eat buffet of almost everything PHOTOGRAPHY-related. Contact us if you’ll like to exhibit at or sponsor the event. 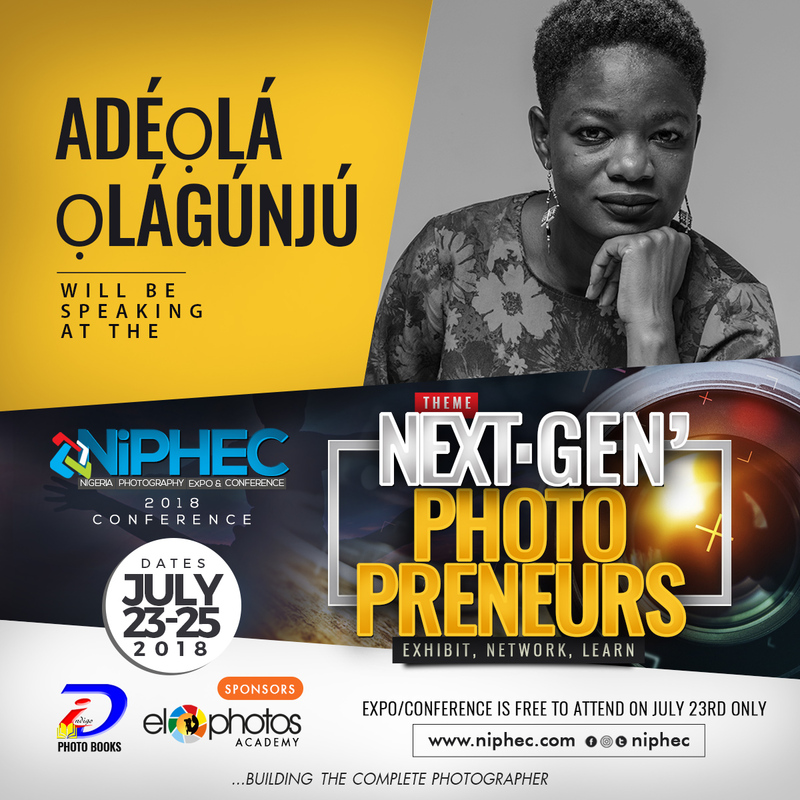 Conference speakers & facilitators slated for this year’s edition include (among others), Ty Bello, Lanre Esho, Kelechi Amadi-Obi, Seun Akisanmi, Emmanuel Effiong-Bright, Akinwumi Osunkoya, Demola Olaniran, Kikelomo Woleosho, Debayo Rotilu, Adedamola Oyeneyin, Temmie Tsoule, Chellah Tukuta, Tcrown and other professionals. 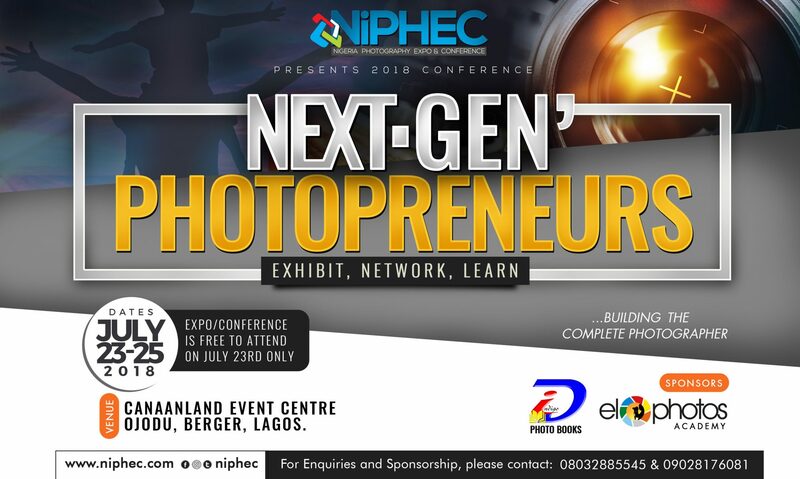 Kindly send us a mail at info@niphec.com for more details regarding sponsoring or exhibiting at this monumental event in Nigeria’s photography industry. The experience and knowledge you will gain by attending this year’s Conference will be more than you can obtain anywhere else. 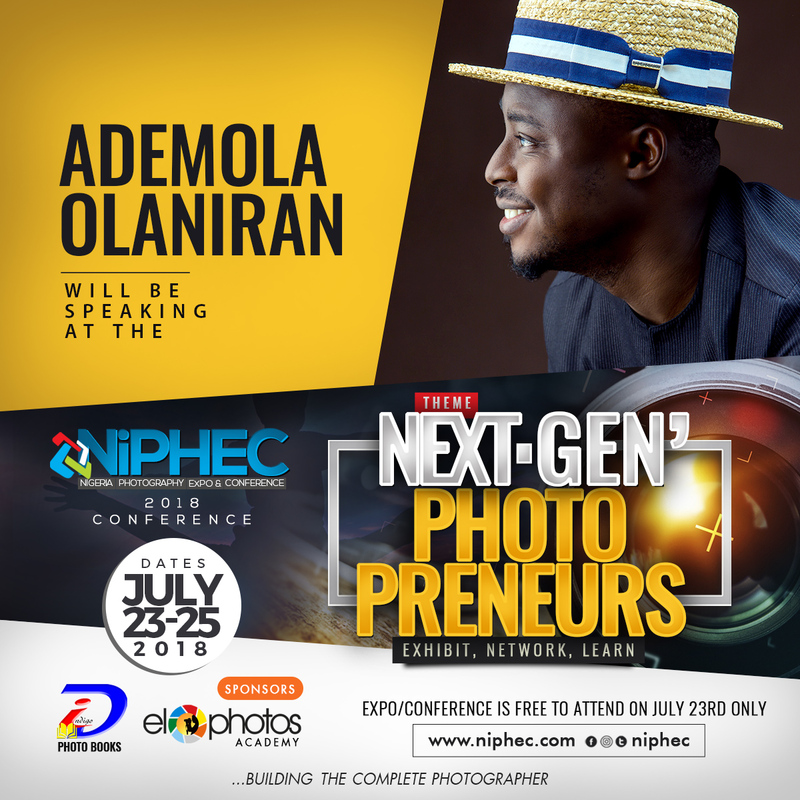 Advanced amateur and professional photographers alike will be inspired by a conference class to try something new, develop broader photographic & business skills, redefine a personal photographic style or learn to rely less on software and post-production and more on yourself, your vision and your camera. 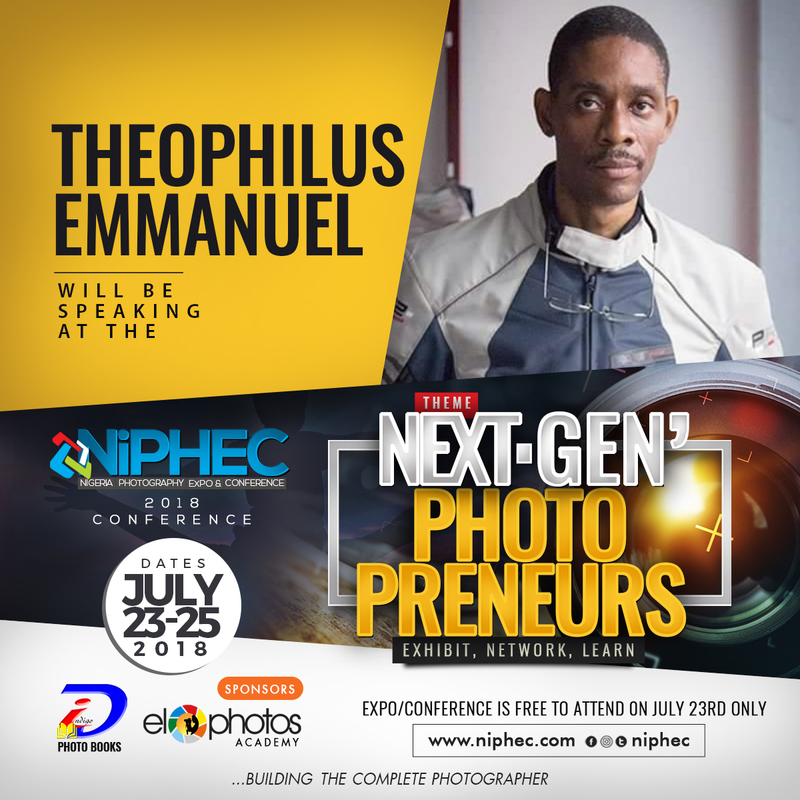 Even more, a session at NiPHEC is a great place to be surrounded by other photographers who share a similar passion, all while learning from your favorite world-class photographers. 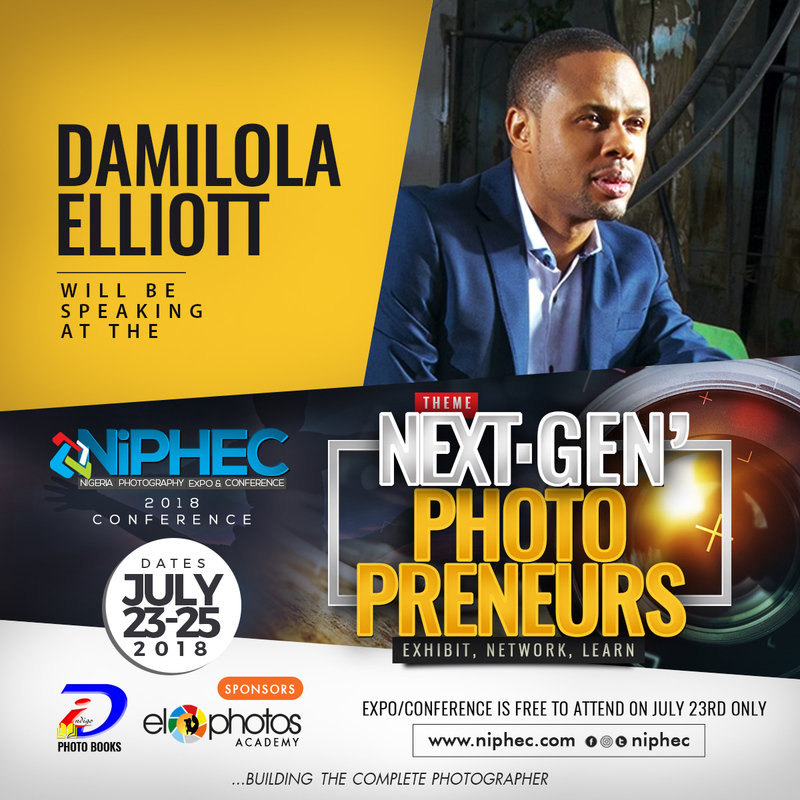 For more information on other comprehensive training organized by eloPhotos Academy, please CLICK HERE. 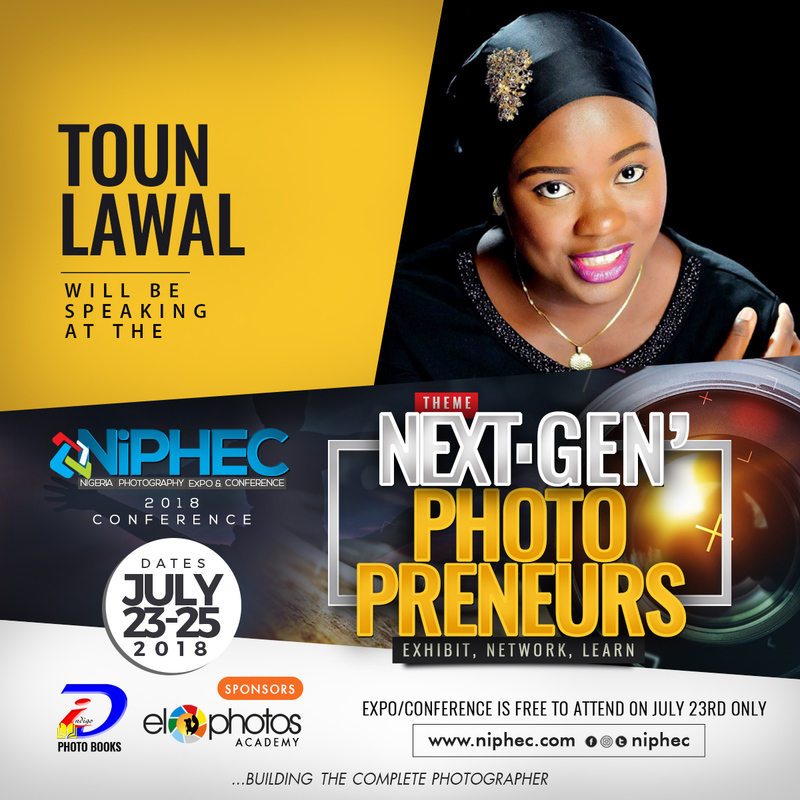 Gain invaluable insight from world-class photographers. 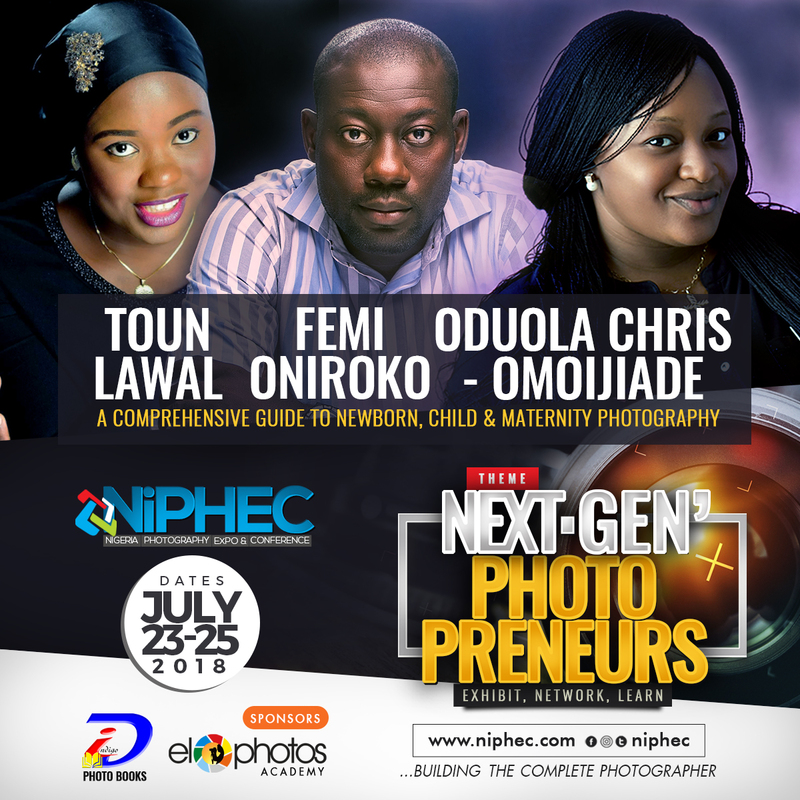 Choose from over 18 educational workshops and intimate hands-on labs led by top talent in the photography & imaging industry. 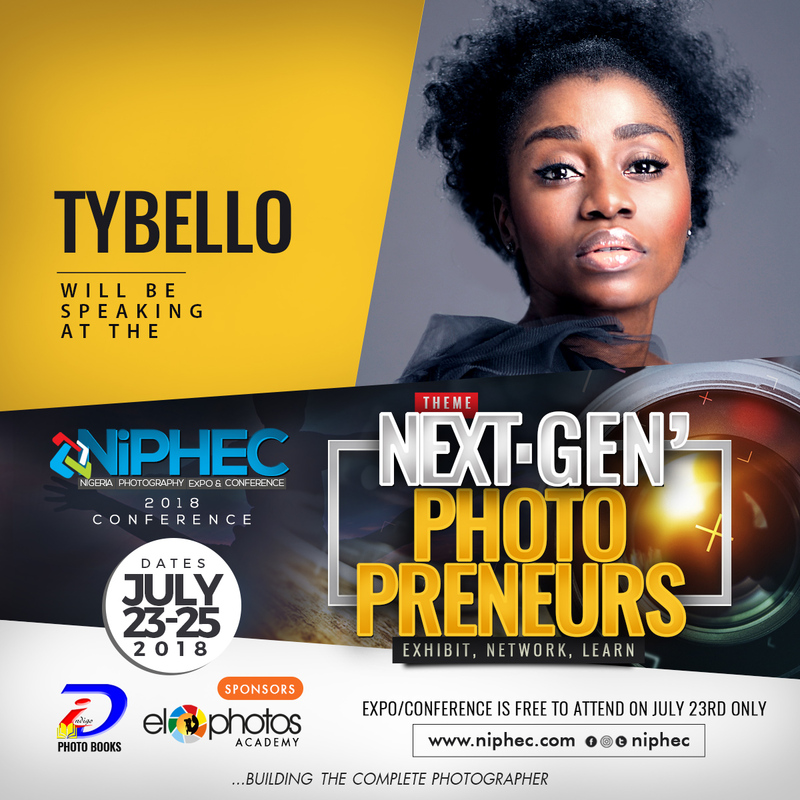 Also, don’t miss presentations from TY Bello, Hakeem Salaam, Chellah Tukuta, Seun Akisanmi, Ademola Olaniran, Kelechi Amadi-Obi, Emmanuel Theophilus, Temmie Tsoule, Novo Lilian Isioro, Jide Odukoya, Lanre Esho, Emmanuel Effiong-Bright, Adedamola Oyeneyin & others. Please note that most specialized session has a class-size limit and registration will close once the class is full. 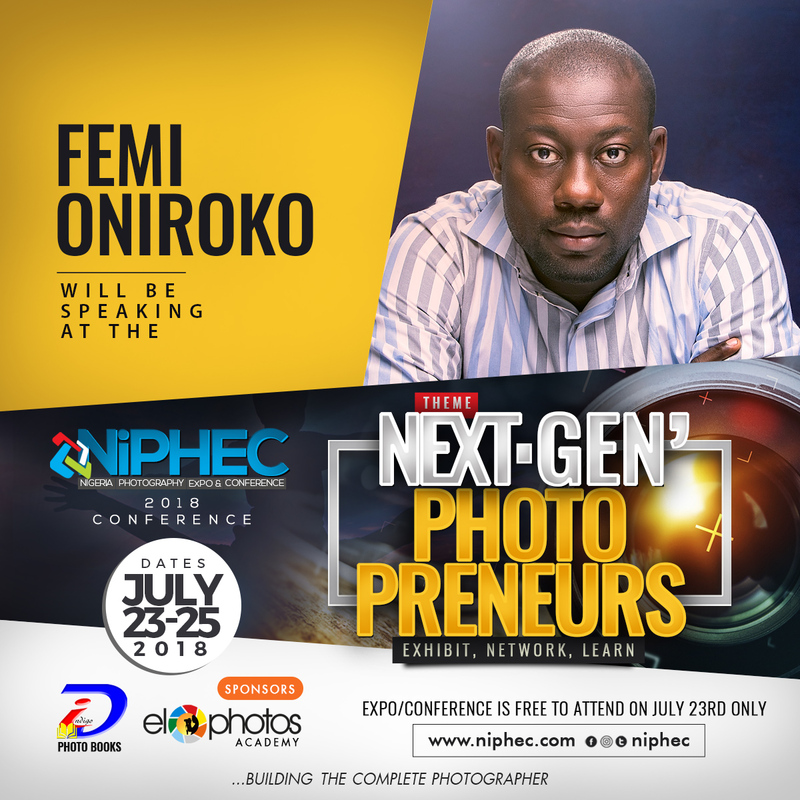 It is important therefore to register early and plan to arrive at the venue ON TIME as all sessions will start promptly. 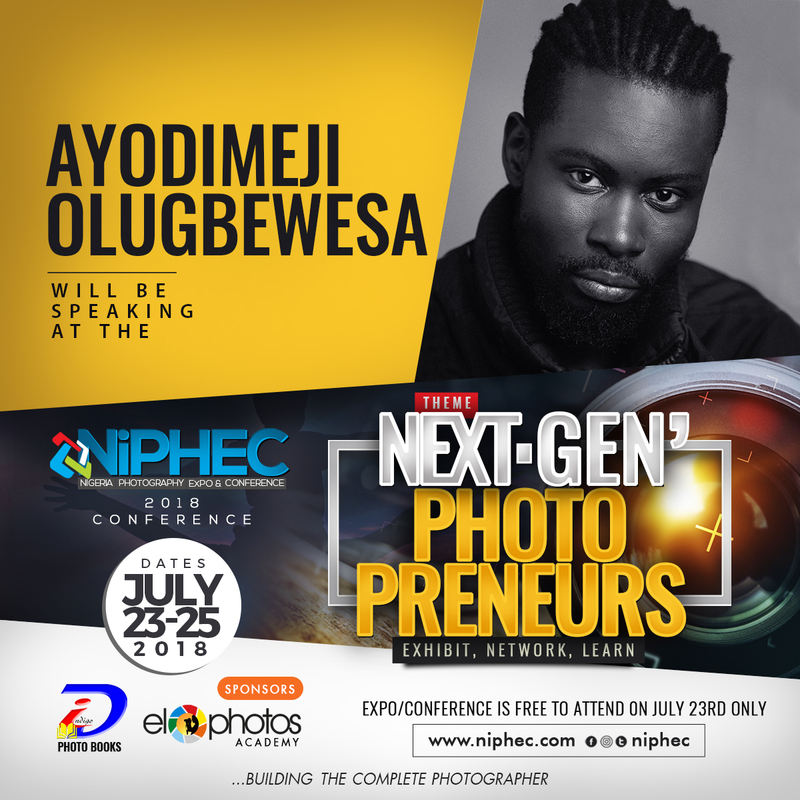 This year’s edition of NiPHEC will take place mainly in Lagos (July 23 – 26, 2018), with a few classes happening in Abuja on July 26, 2018. 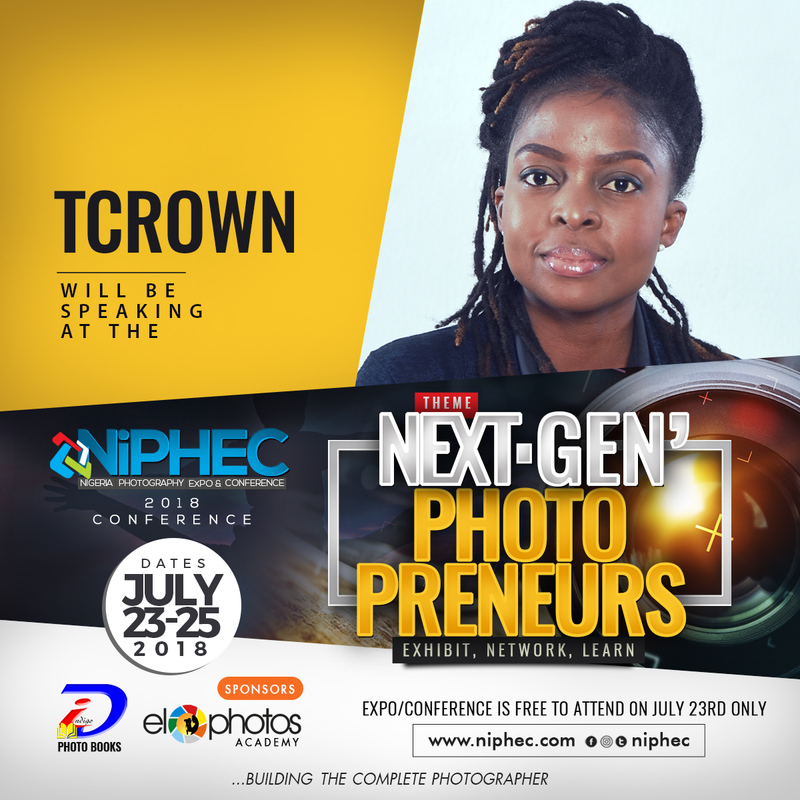 July 26: The PhotoConclave. C4 Fudie Mall, 58 Mike Akhigbe way, Adjacent Chida Hotel, Jabi Abuja. Listed below are the details of the seminars that will hold during this monumental event. Feel free to print this out and decide the sessions you’ll be attending. 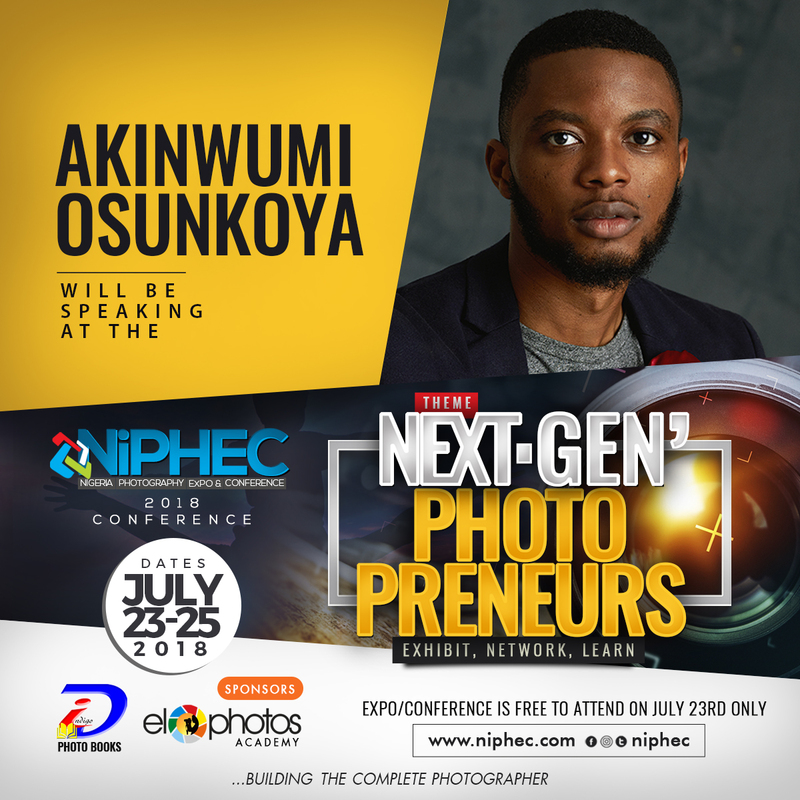 Once you’ve decided the seminars you’ll be attending, calculate the total cost implication, make payment into our bank account (Diamond Bank account number 0060967085, Nigeria Photography Expo & Conference Enterprises) and proceed to fill out the REGISTRATION FORM. Note that you can also make internet/online transfers into the account listed above. Please endeavor not to make any payments into any other account apart from the one listed above. It is paramount that you fill the form within 24 hours of making payment so as to secure your seat in the class. Please kindly contact us to confirm availability of space if registering after July 21. Once there are fewer than 5 spaces left for any sessions, the corresponding class will be adjusted to reflect the remaining seats. Understand also that it is inevitable that some sessions might clash with others. The first 3 letters of each seminar (e.g. NOC, WAS or PBM) is the code you will be using to register for each class. Once each class is full, we will be closing registration for that particular class. Although seminar fees are non-refundable, you can swap classes with the same course fee not later than July 11. Swapping of classes will not be permitted after this date, so we’ll appreciate it if you choose carefully. For now we’re unsure of the availability of sales of DVD packs for classes but indicating your interest will help us consider it if we get enough orders. FEE: FREE to attend, but registration required. 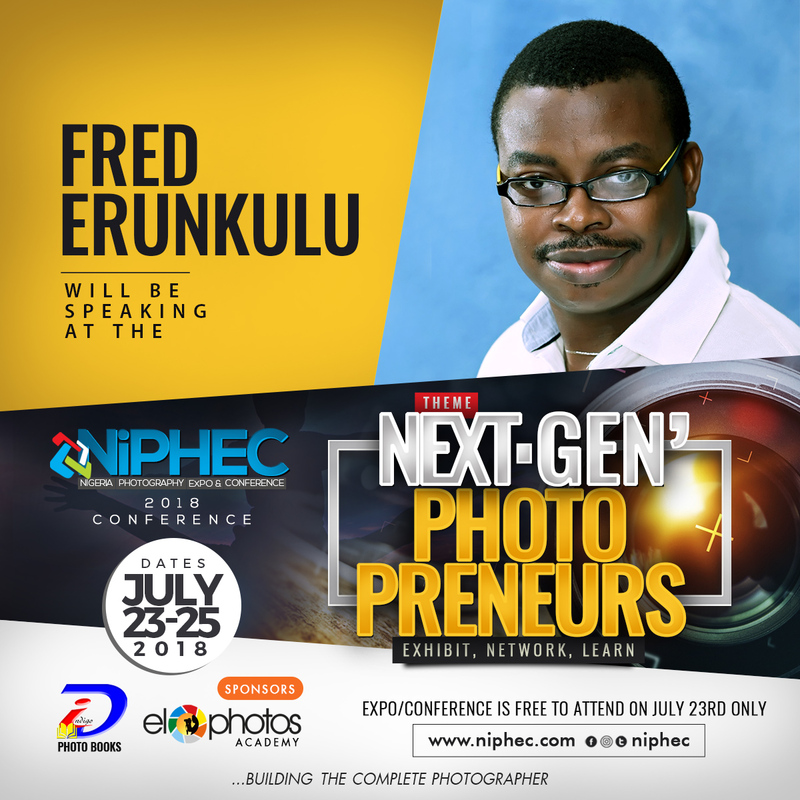 UDS: Understanding Your Digital SLR, A beginner’s journey to gaining a better foundational knowledge of how to handle and shoot beautiful pictures with a DSLR by Fred Erunkulu. 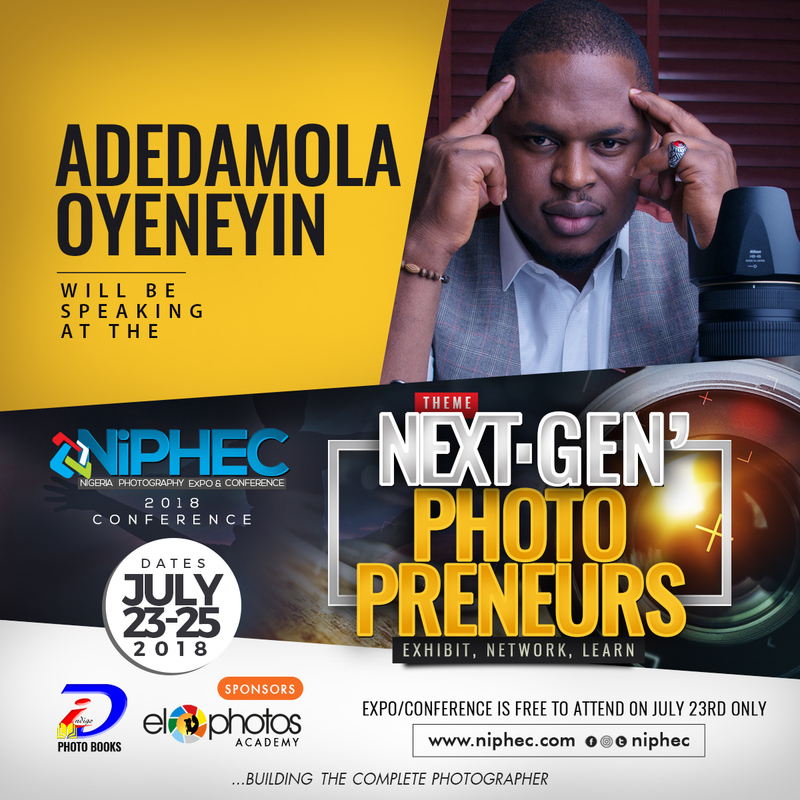 TPE: The Photographer’s EYE: Learning to see creatively while understanding the art of visual storytelling by Kelechi Amadi-Obi. AOA: The Art Of The Art by Adeola Olagunju. 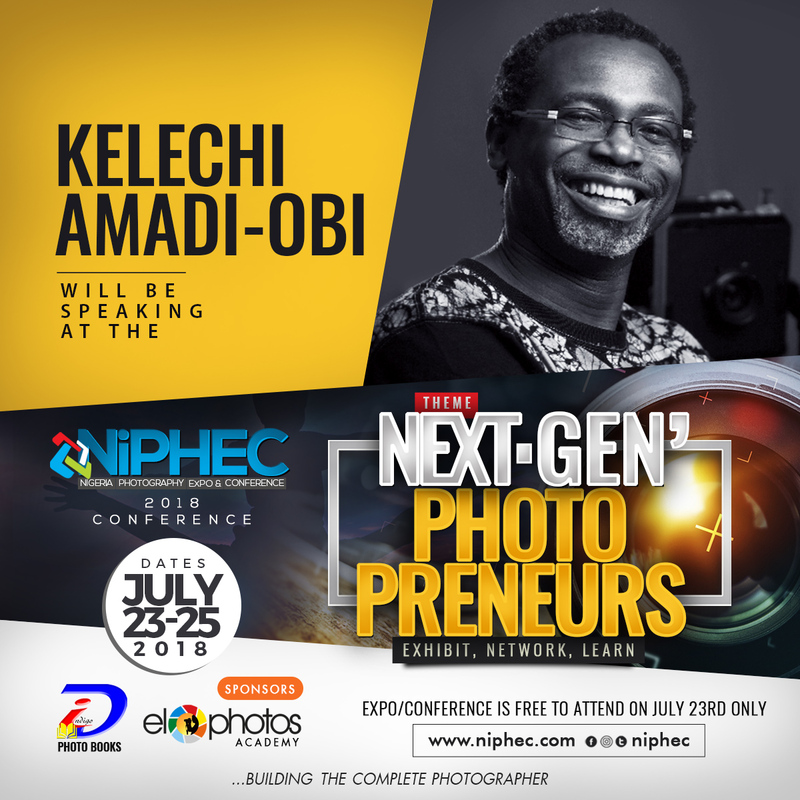 MLF: A Masterclass on Lighting for Portrait & Fashion Photography by Kelechi Amadi-Obi. 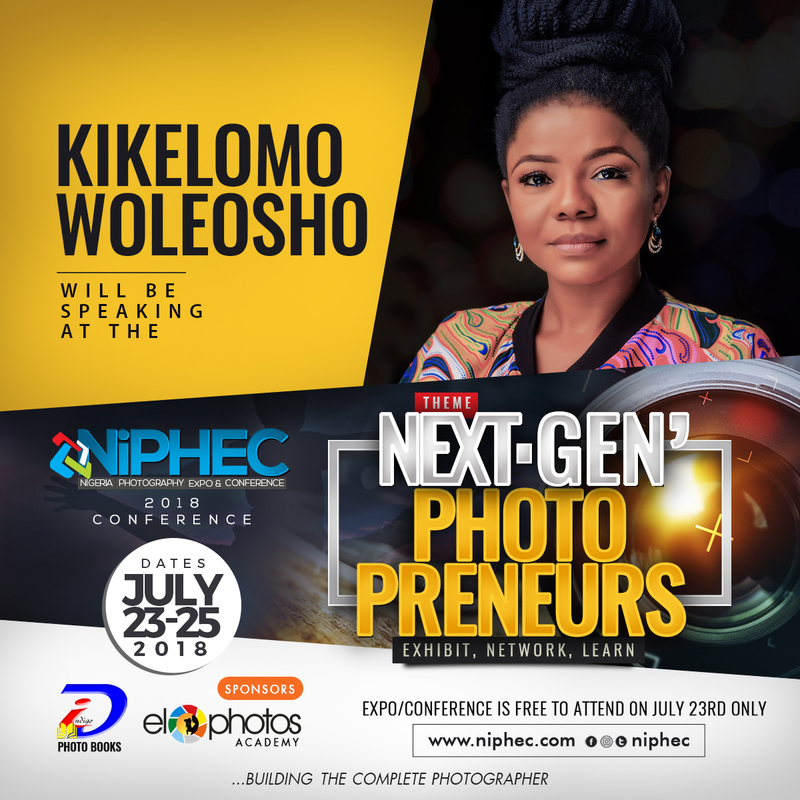 In this 8 hours workshop, award-winning fashion photographer, Kelechi will take participants through practical steps to creating some of the iconic pictures he has done over the years. It will be an interactive session of 20 participants that will entail a mentoring session beyond the workshop. 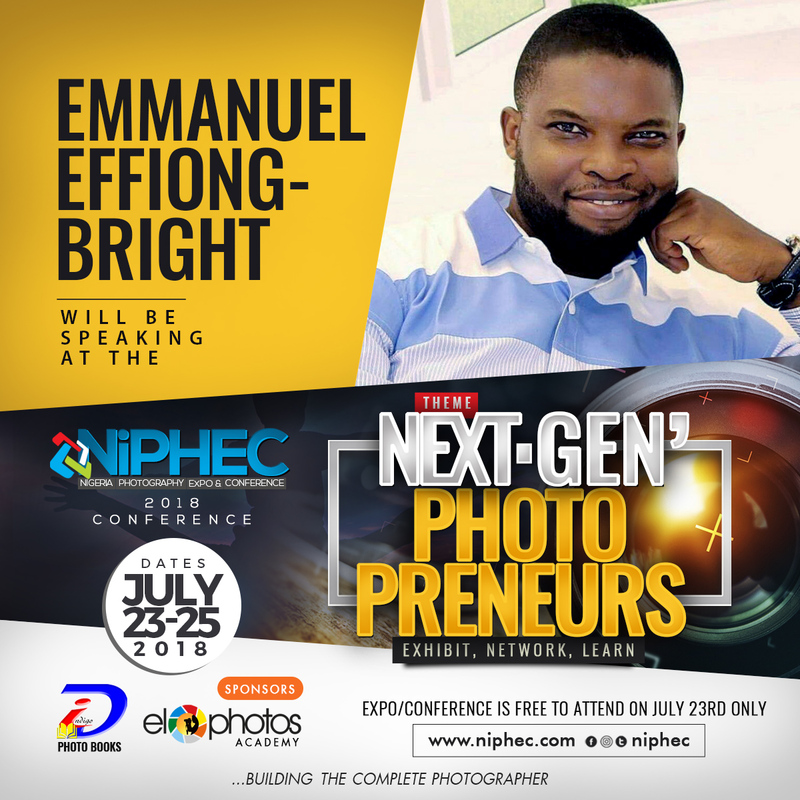 TWB: Creating a Compelling World-Class Photography Brand by Emmanuel Effiong-Bright. 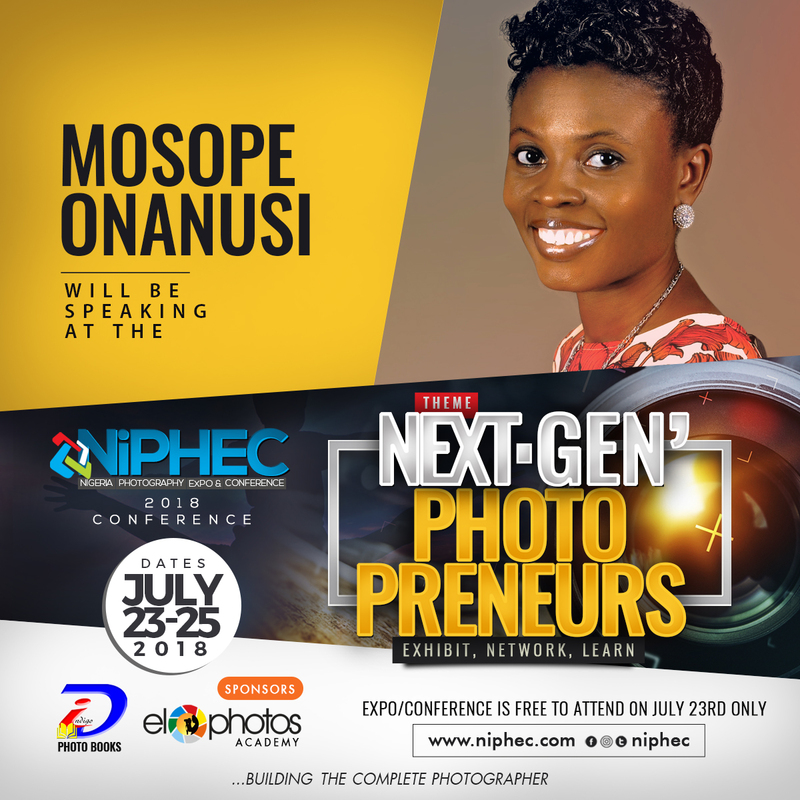 PGD: A Photographer’s Guide to Album Designs (Using Fundy) by Mosope Onanusi. 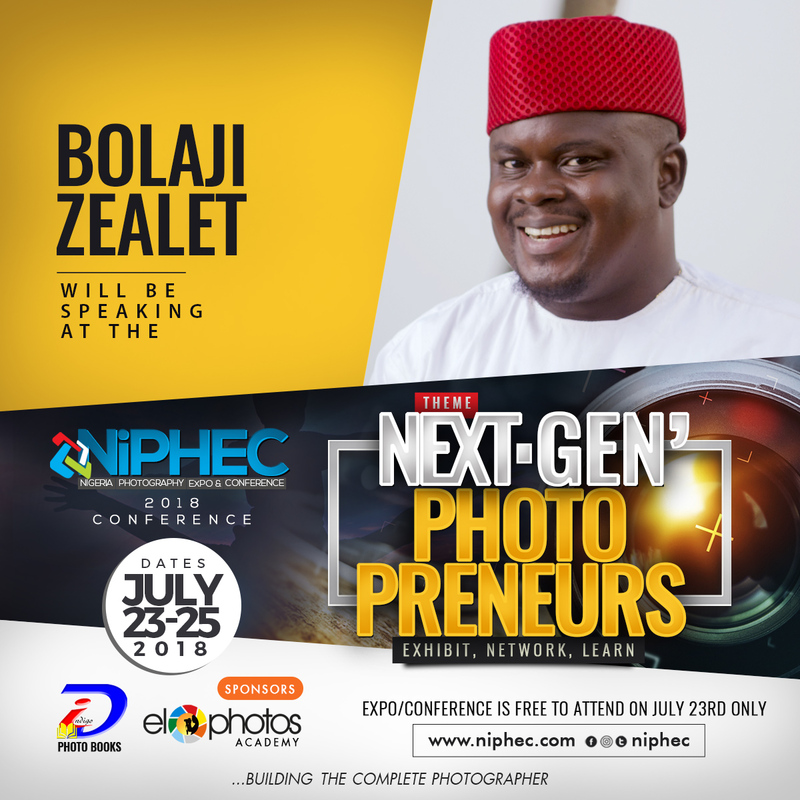 Venue: The PhotoConclave. C4 Fudie Mall, 58 Mike Akhigbe way, Adjacent Chida Hotel, Jabi Abuja. 1) Photographers’ Trip To Dubai: A 7 days Photography adventure in the city of Dubai from September 3 – 10, 2018. An investment of N497,500 covers round-trip airfare, visa, accommodation, tours to iconic places (e.g. Burj Khalifa, Desert Safari, Dubai Museum, etc). ONLY 10 Slots available. 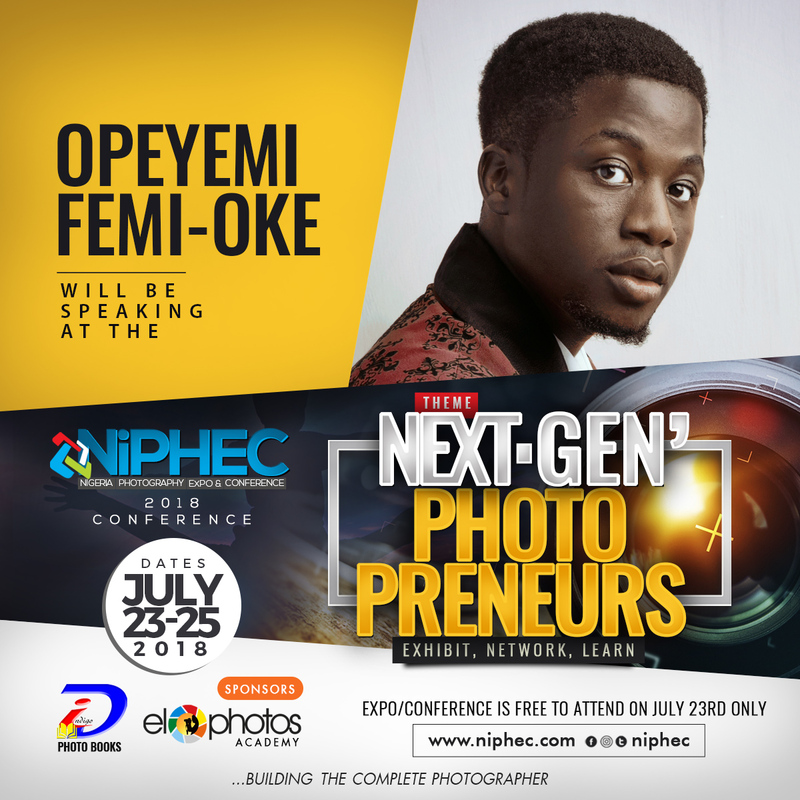 Contact 08028599886 or info@niphec.com for inquiries. 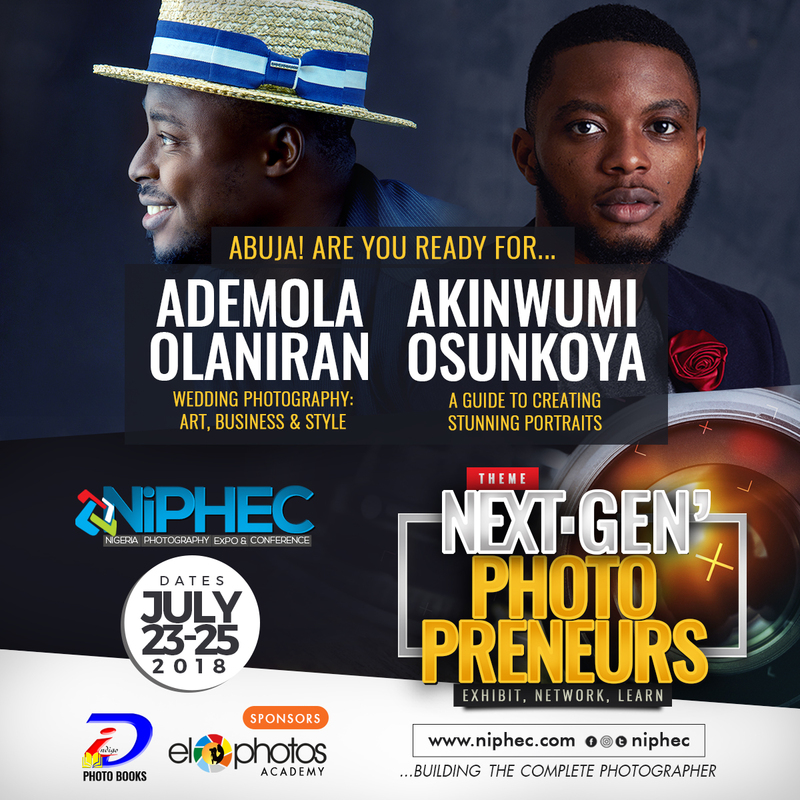 2) 6-months Diploma program: Designed for people who have made up their mind to start a full-time career in photography, the 6-months program provides you a foundation for building your photography business. 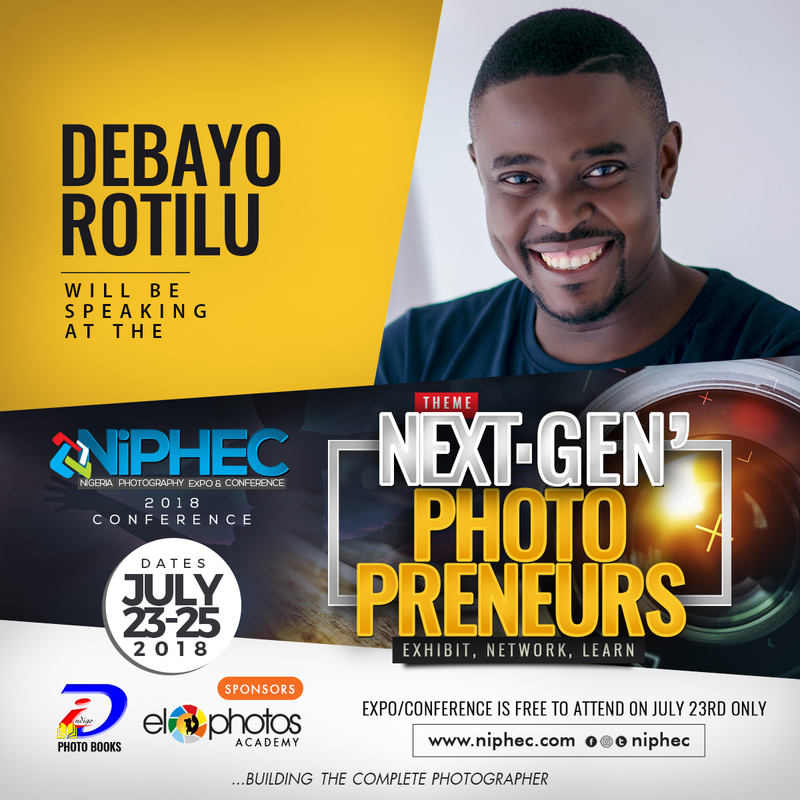 Students have the extra privilege of becoming a temporary “resident” of eloPhotos thereby having the opportunity to also witness first-hand the day-to-day management of the organization. The following is a summary of the curriculum that will be taught during the 6 months program. 3) 10-day Intensive Training: A 60-hour+ intensive training, this program is designed for busy people who want to get a quick solid foundation of different basic aspects of photography. Below is a breakdown of some of the courses (we call them modules) we offer in this program. 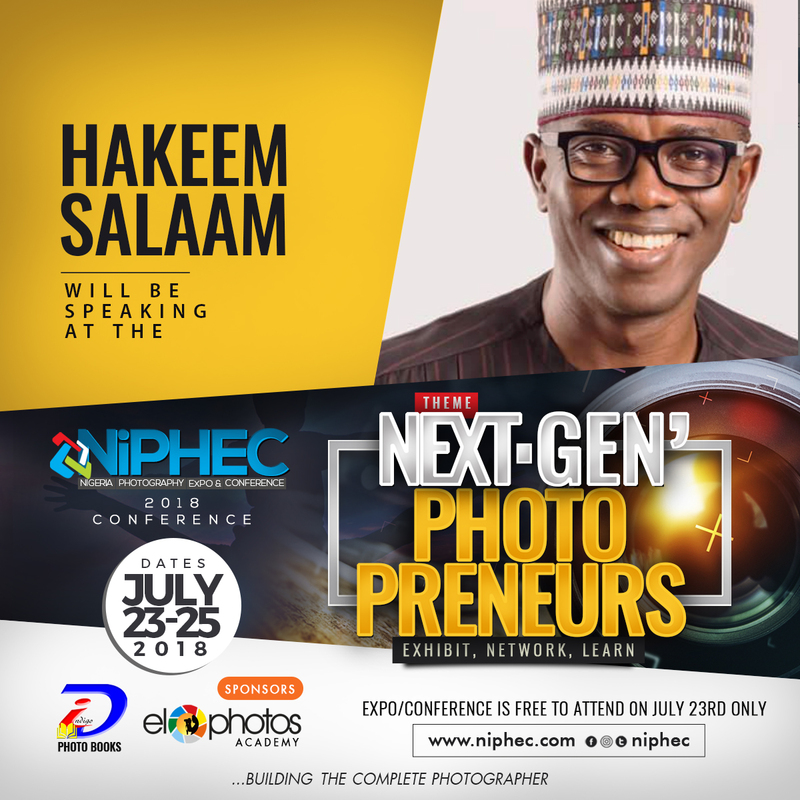 Before you fill this registration form, make sure you’ve paid the registration fee into the designated Diamond Bank account (0060967085, Nigeria Photography Expo & Conference Enterprises). After payment has been made, you can proceed to fill the form below. Remember to print out the final page (for your records) once you submit the registration form. 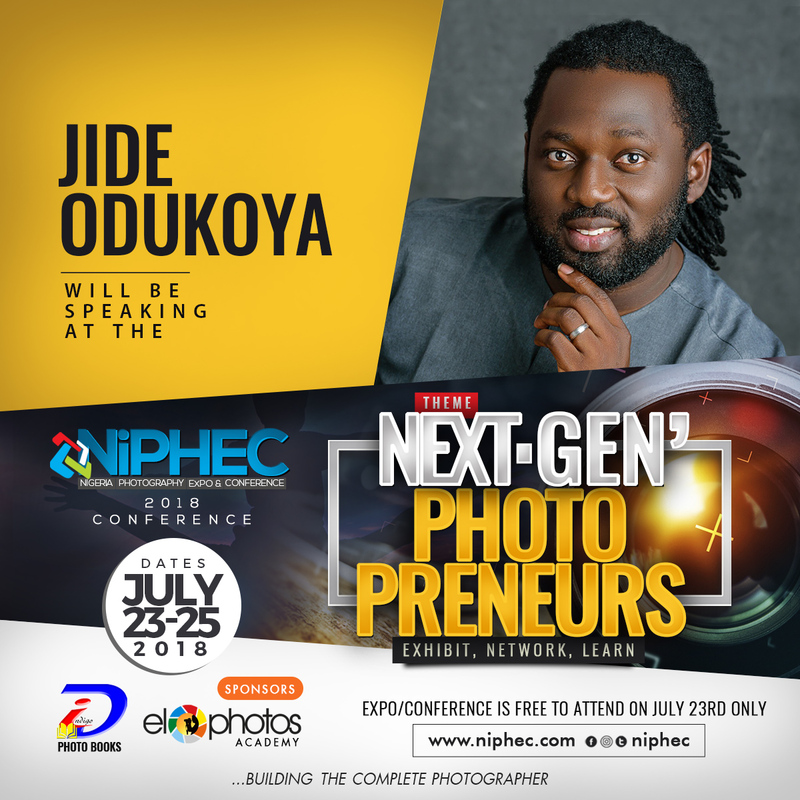 NiPHEC gave me the opportunity to rub shoulders with the international professionals we can’t just come-by on the Nigeria road. It boosted my conviction and confidence as a photographer. 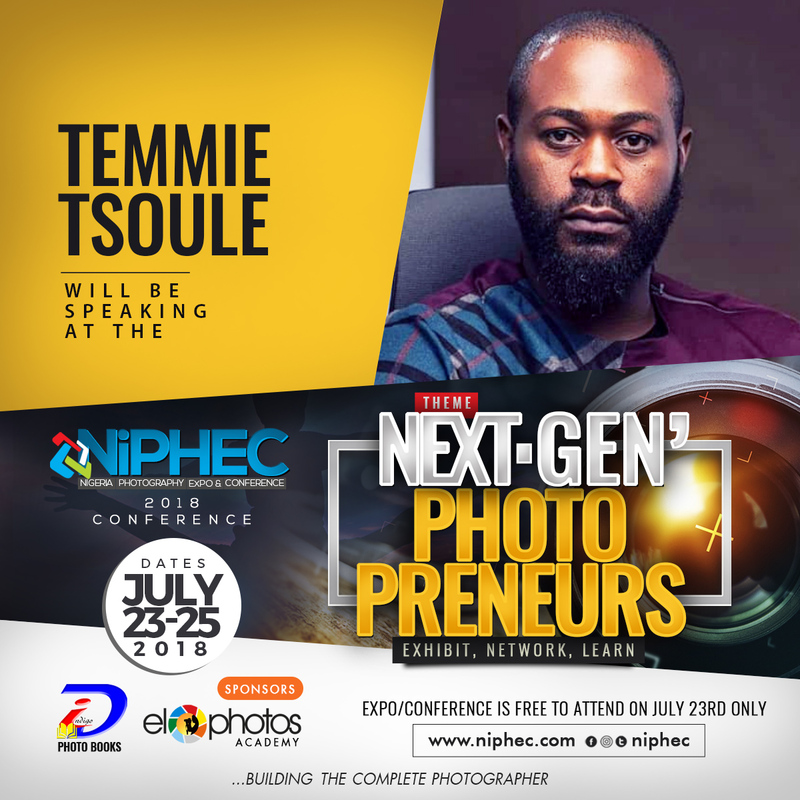 I definitely got better and exposed to a more excellent way of expressing my imagination in frames- Temitope. 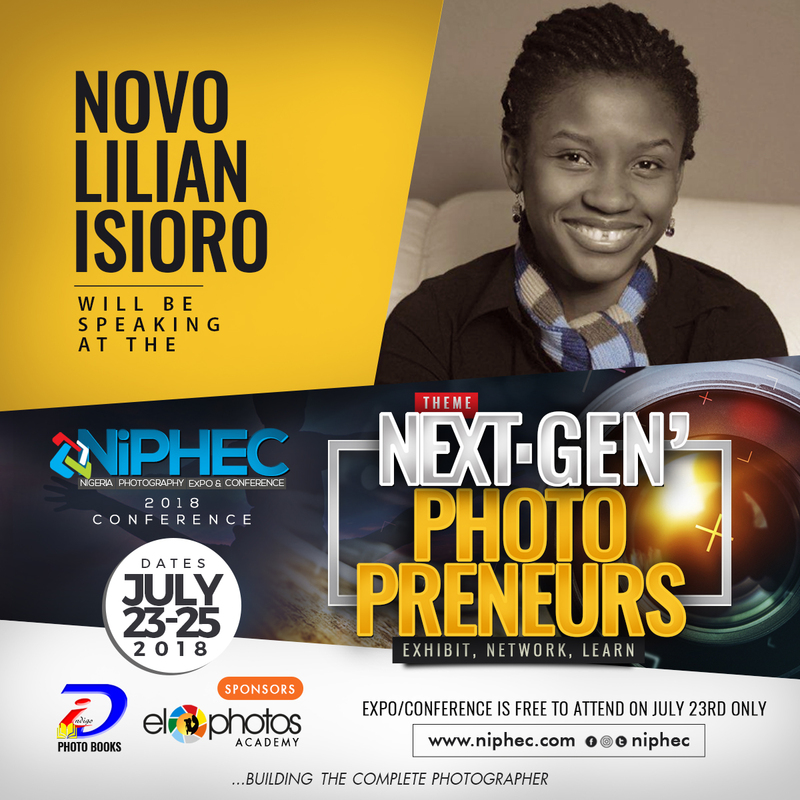 I was able to learn my rights as a photographer at NiPHEC; things I should accept and shouldn’t accept from my clients. I learnt how to understand my clients and give them more than what they expect. Also, it increased my lighting skills by the combination of video light with flash guns. 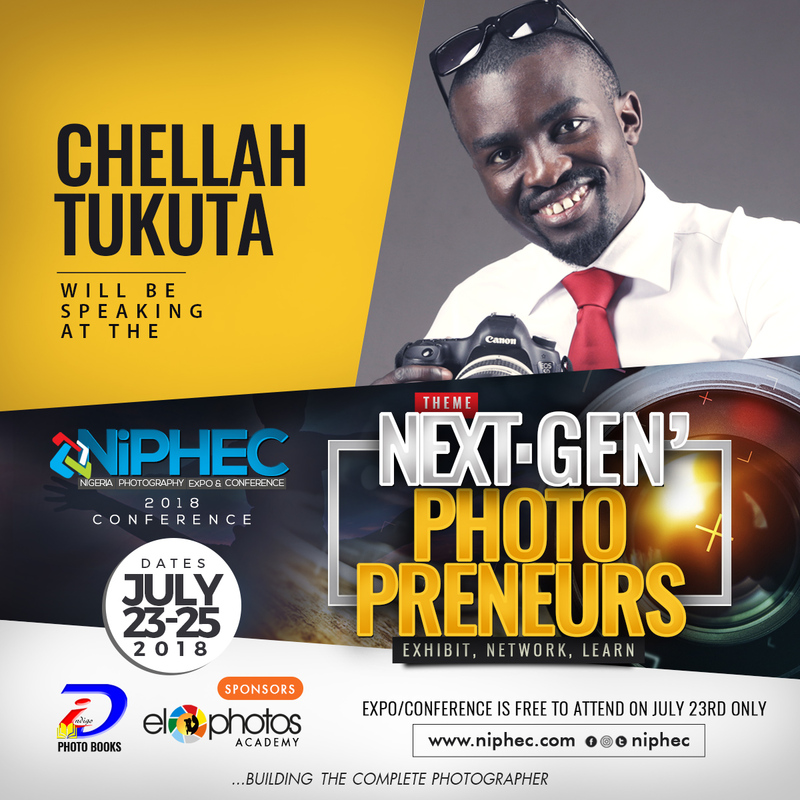 I met with new and skillful photographers also- Tunde.